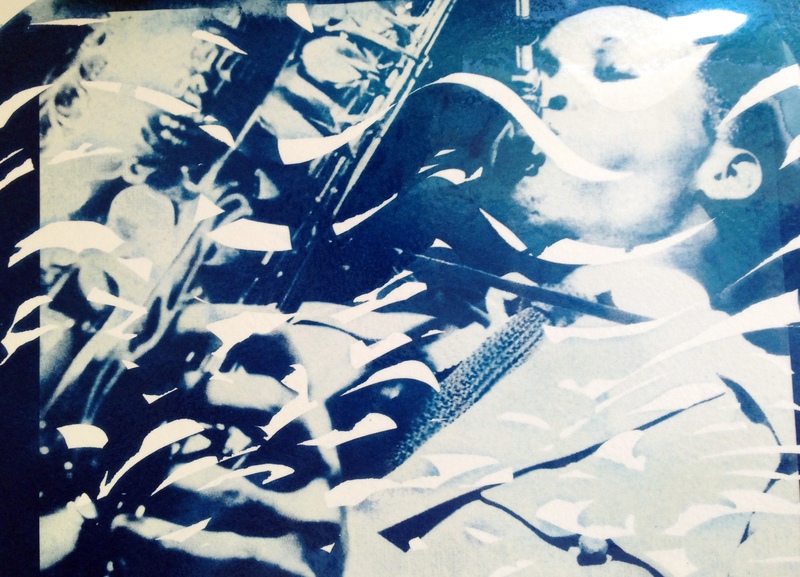 Viewing the Blues will be exhibited on 24th-27th September 2015. What was the origin of the exhibition? 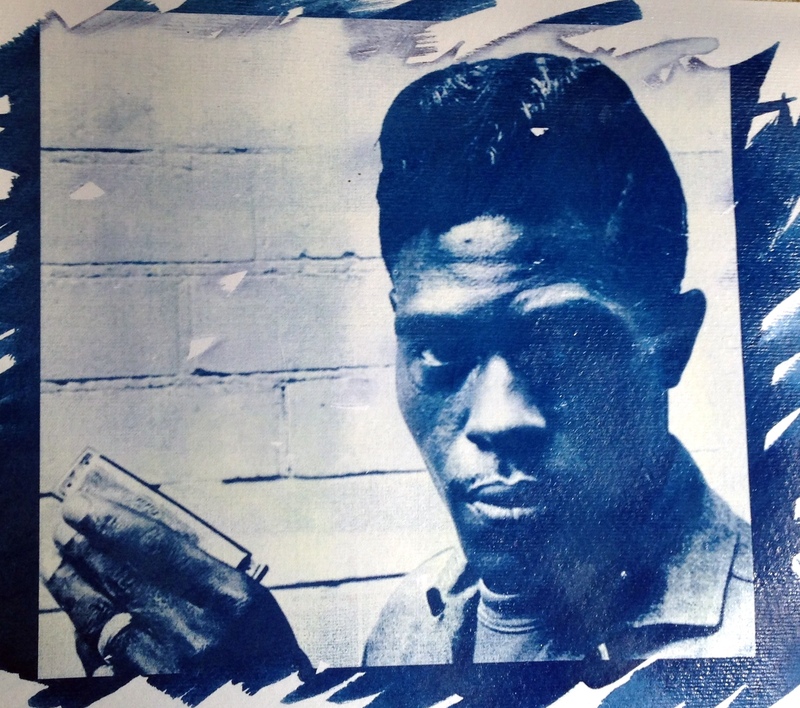 My love of Blues music was the starting point (notice the blog posts on this site). Secondly – the origins of the Blues, starting in West Africa, through slavery and past emancipation. Thirdly – the cross-over, after emancipation , to new opportunities for -ex-slaves, to develop and enjoy their music (see Juke joints etc). Fourthly – the interaction between ex-slaves and new indentured labourers (mainly coming from the Indian sub-continent). 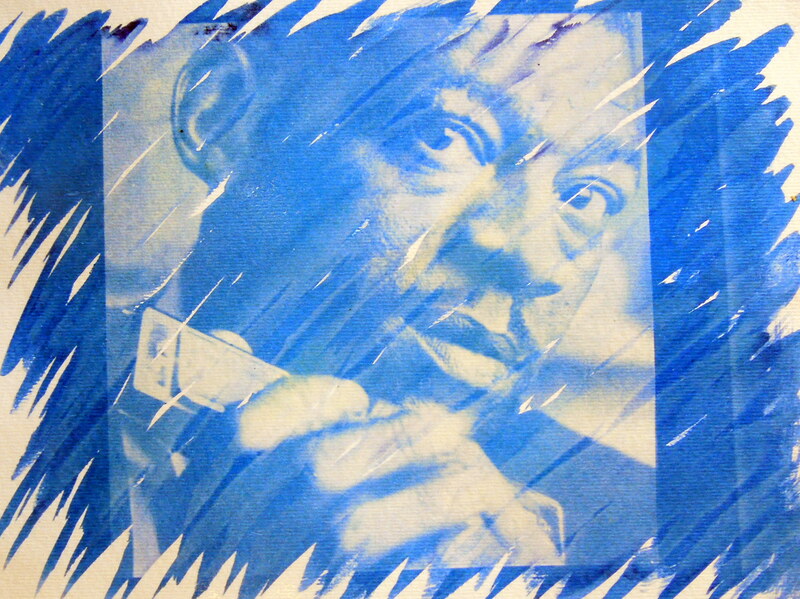 Fifthly – my interst in photography,particularly image making using the cyanotype and anthotype processes. 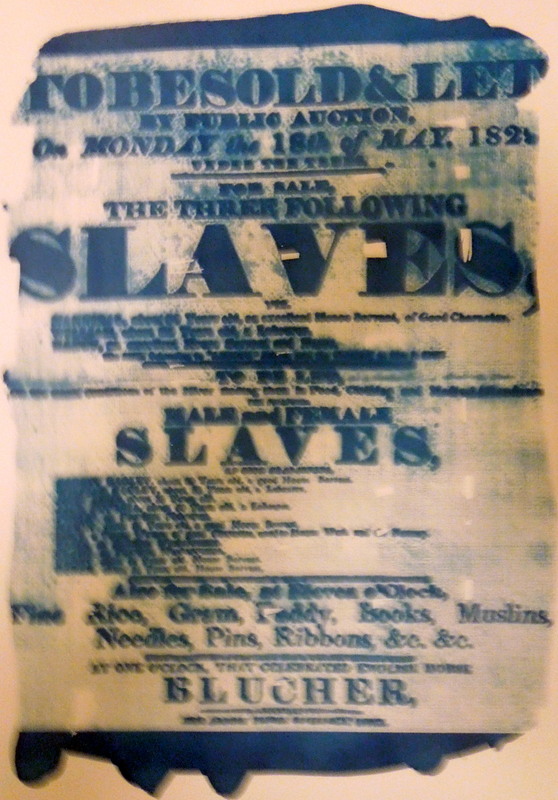 The slave trade was driven by a huge demand for agricultural labour. Whether it was the USA, the Caribbean or the Indian Ocean islands, plantations of sugar, tobacco and cotton enslaved thousands of mainly African peoples to a life of hardship and sometimes beatings and particularly harsh punishment. Blues music has its roots in Africa, in the sounds that travelled the slave ships and that evolved during the black people’s struggle in the Americas. 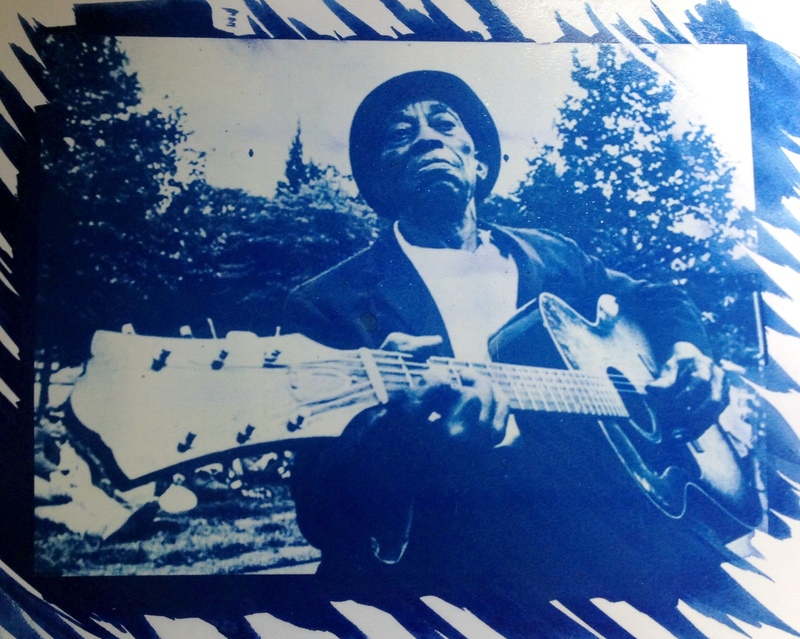 Beginning in the seventeenth century and extending into the nineteenth century after emancipation, the unaccompanied vocal music and call and response singing that slaves brought from West Africa meshed with a variety of other elements –including European church music, popular minstrel songs ragtime music to create this new sound that came to be known as the blues. 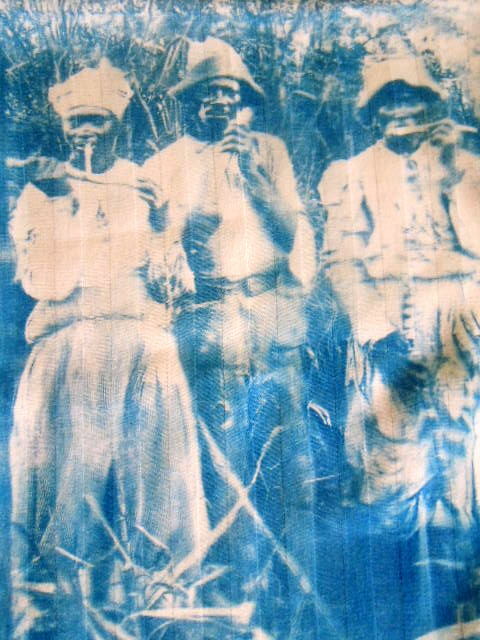 Maybe our forefathers couldn’t keep their language together when they were taken away, but this-the blues –was a language we invented to let people know that we had something to say. And we have been saying it pretty strongly ever since. BB KING at Lagos University , Nigeria 1973. 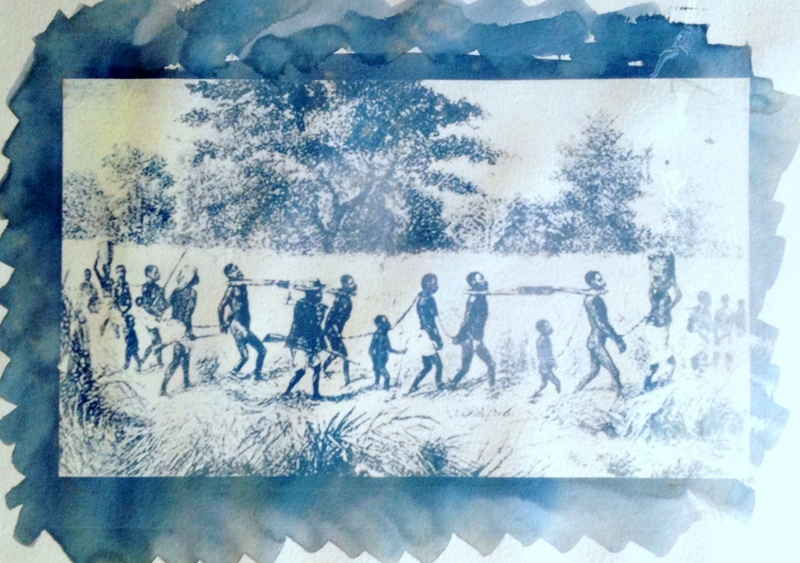 It was slavery that brought West African people to the Americas, brought their music , language and song. It was slavery that forced these West Africans to keep some semblage of culture by using it in their field hollers and call and response singing. It was emancipation that allowed these same people to join together in Juke joints and enjoy playing and singing music that had roots in a number of West African countries. It was emancipation that brought indentured labourers to work on sugar and cotton plantations. The exhibition starts to weave these connections together. 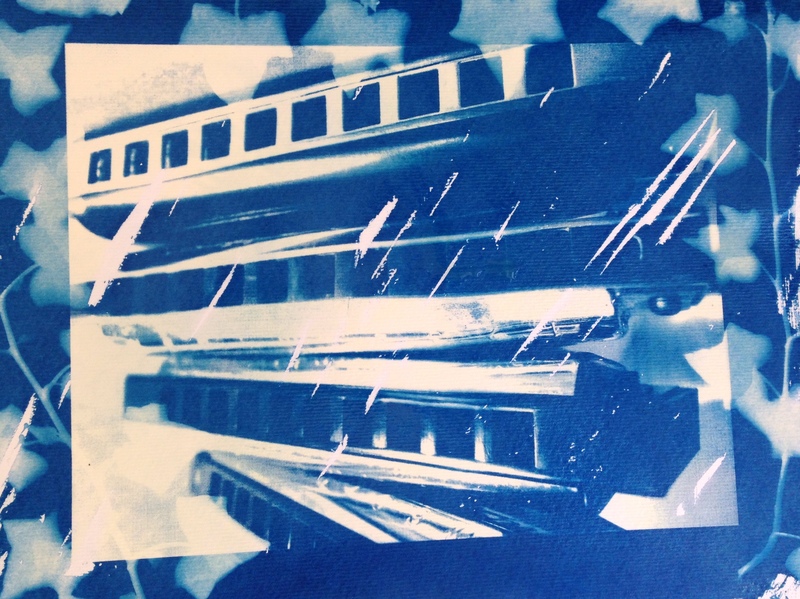 During the afternoons of 27th and 28th September there will be two hour workshops on the cyanotype process. 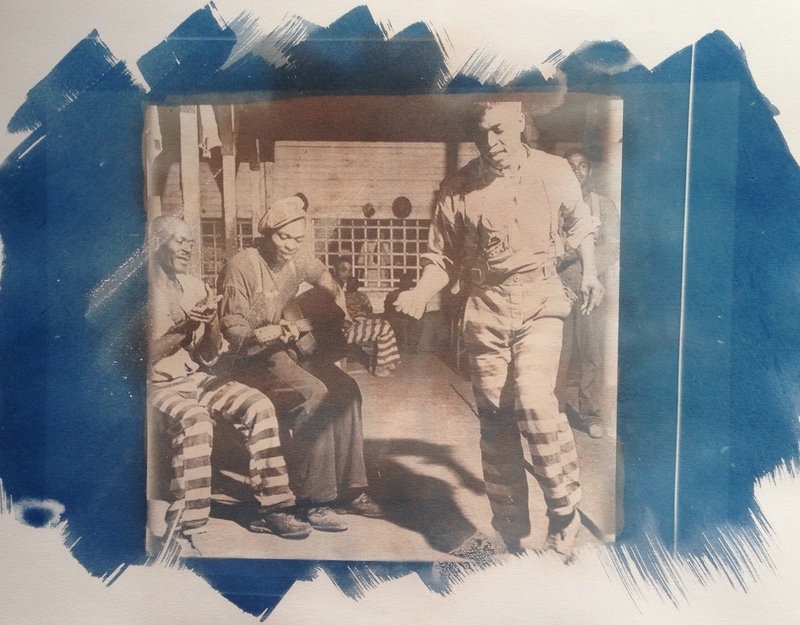 Participants will learn about cyanotypes by making their own. If they are pleased with their work they can frame their work of art on site. Each workshop costs £5 which includes the cost of the sun printing light sensitive paper. This will cover the costs of two pieces of sun print (cyanotype) paper, per participant. Email curator@bhavan.net to reserve your place with your name and phone number. 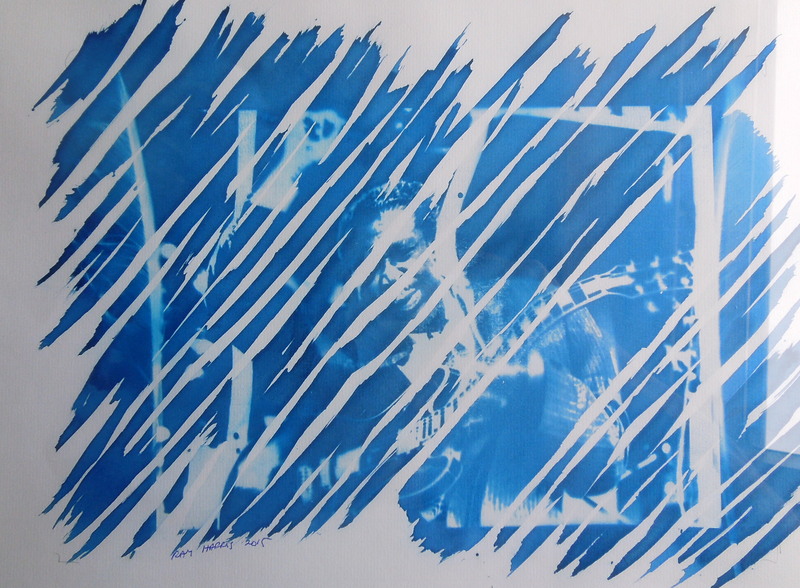 Cyanotypes were discovered by Sir John Herschel in 1842 and are created using a solution of iron compounds to produce a cyan blue print. A variety of effects can be achieved by varying the substrate (watercolour, cartridge, cotton cloth) the amount of sensitiser , time under UV and toning. Initially the process was used for reproducing diagrams (coining the term “blueprint”) and was only later used for photography. 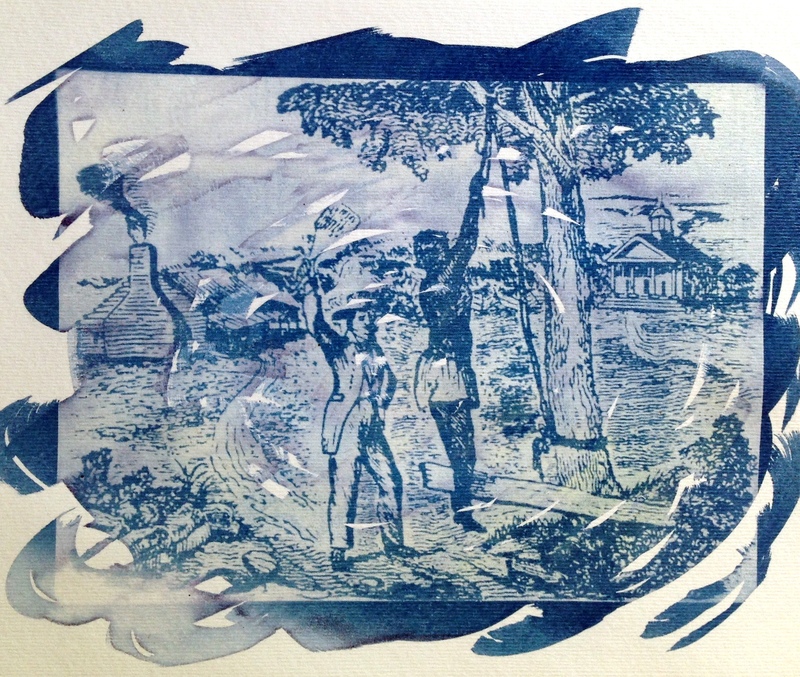 One of the first people to use cyanotypes for photographic printing was Anna Atkins who produced the first photographic book of cyanotype prints in 1843. Paper, card, cloth, glass or any other naturally absorbent material is coated with the Potassium ferricyanide and Ferric ammonium citrate and dried in the dark. Objects or negatives are placed on the material and exposed under UV light and processed by rinsing in water to remove the unreacted iron solution. 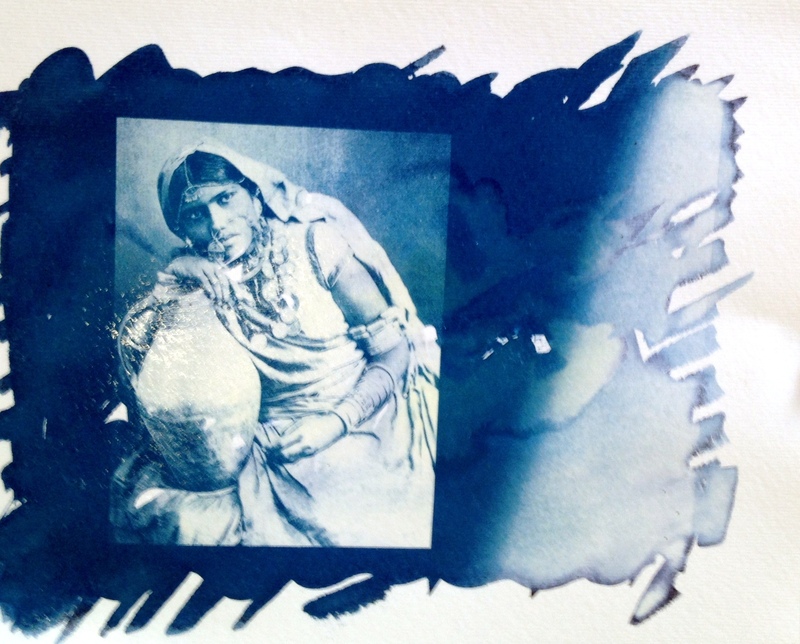 Cyanotypes and ‘Alternative’ photographic processes. 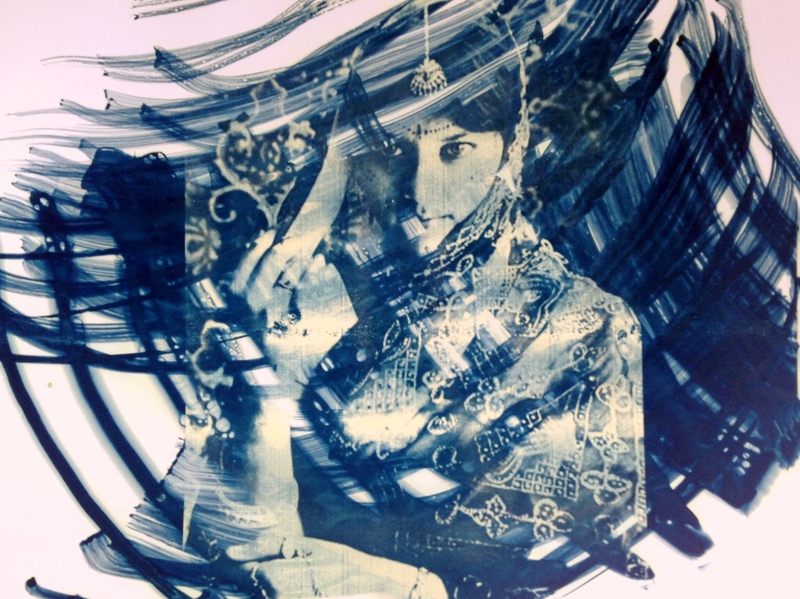 Alternative processes have a lot to offer in terms of creative freedom, experimentation and beauty. The subtleties offered in tonal variation within blues and after toning, browns and even pinks make each print unique. I have made them the foundation of my image making as a photographer and teacher. As well as cyanotypes I have experimented with Anthotypes (using plant and fruit extracts as sensitisers) and the use of recycled materials. The final image, its beauty and its mystery, can be the objective but personally I also find the practical process, involving experimentation, particularly satisfying. It probably looks like I have an obsession with toning – I don’t. Not really. 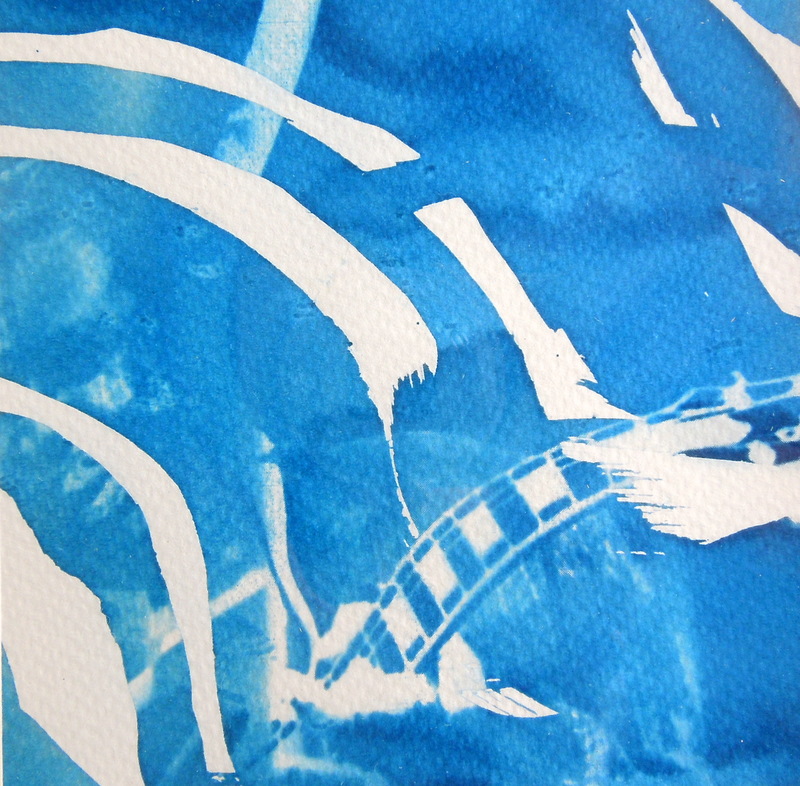 Among all the reasons that I love working with cyanotype, the bright blue color isn’t one of them. So, I have to tone my images. Though I like the shades of black/brown/purple that I get from toning, I’m always looking for a toner that won’t stain the paper and ruin my highlights. So far, I’ve been pleased with basic toners like green tea, coffee, and black tea. Tannic acid works well – when I can get it to work. It’s also expensive. I don’t use tannic acid much these days. The biggest problem with all of these toners is they all stain the paper really badly, tannic acid a little less.